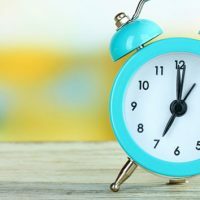 Permanent Daylight Savings Time In Oregon? Governor Says YES! SALEM, Ore. (AP) – Oregon Gov. Kate Brown has strongly endorsed a growing movement to make daylight saving time permanent. “I think everyone’s done with the time change,” she added. Washington and California are also considering shifting to a permanent daylight saving time. Florida became the first state to approve such a change. Any state law extending daylight savings time would have to be approved by Congress.